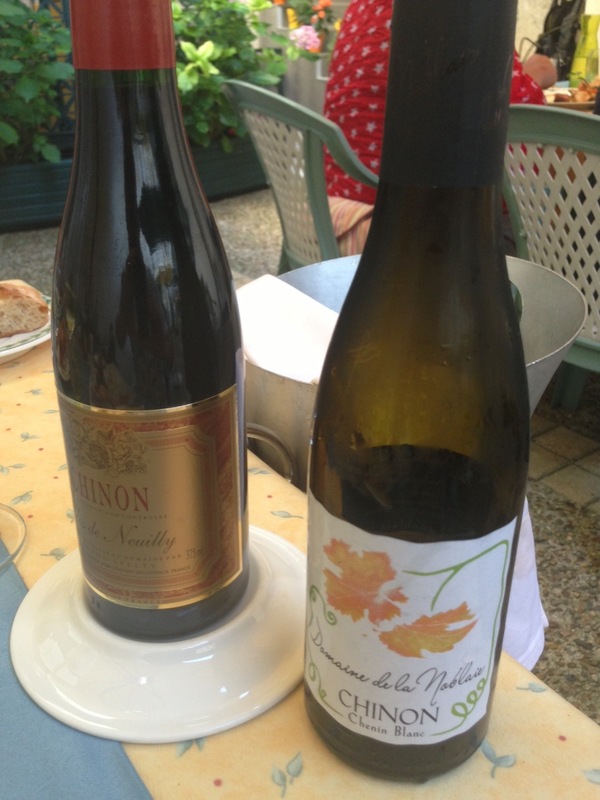 Before coming away to France this summer I drank and recommended plenty of wines from the Loire. I found them to be perfect summer wines, and having so far spent four days in the Chinon area I am an even bigger convert, if that was at all possible. If one word can define the wines of Chinon and Saumur it has to be FRESH. The Chenin Blanc has such a lively streak of citrus-sherbet acidity, and the reds made from Cabernet Franc conjure up thoughts and tastes of summer pudding. 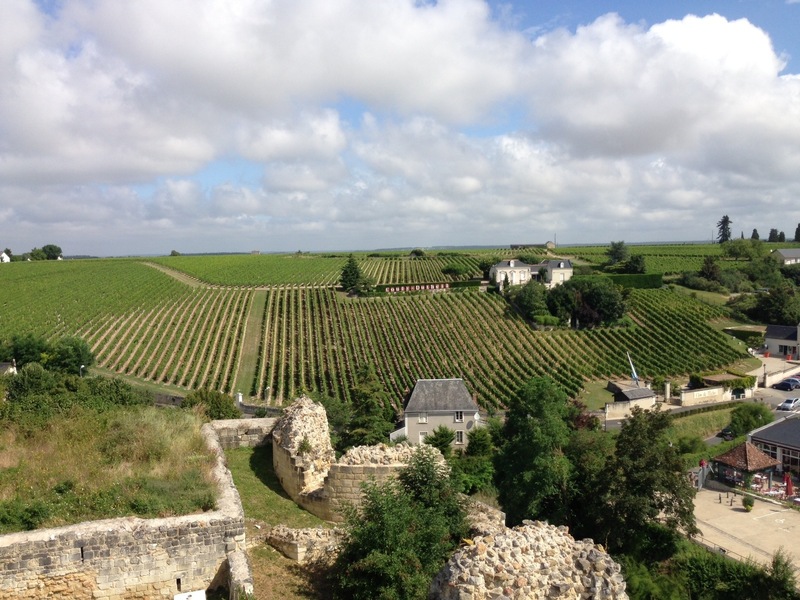 I love the Chenins of Vouvray and it saddens me beyond belief to read about the hailstorms in June that wreaked havoc with the 2013 and most likely 2014 vintages. I wanted to visit the region on this trip but the winemakers are so busy supporting one another that there isn’t the time to spend with wine tourists. It’s incredibly sad that we won’t be able to drink the bounty of Vouvray over the next couple of years. Given the geographical proximity, fans of Chenin Blanc should count themselves lucky that Chinon and Saumur are producing such good examples of this splendid variety. 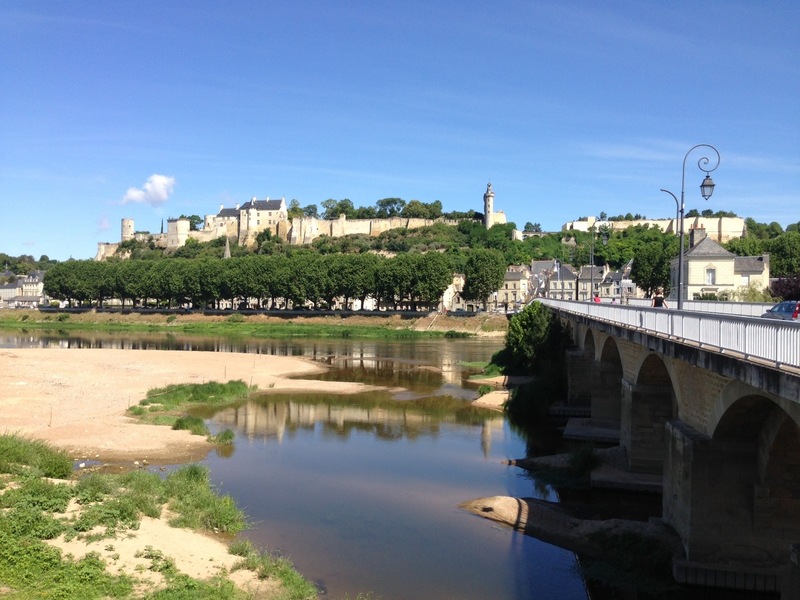 Chinon is delightful town on the banks of the Vienne river, steeped in centuries of history. A visit to the marvellously restored fortress is a must for anyone visiting the area and tells the various stories of kings, heroines and dragons. We arrived on the day of the annual “Marche Medieval”, where the whole town dresses in garb from centuries ago and eats food as it was in times gone by – this town lives and breathes its history. But they are making new history every year with their fantastic wines. I visited one of the most passionate winemakers I have ever met at Chateau Petit Thouars, on the edges of the appellation and loved what he is doing with Cabernet Franc – the next post will all be about Michel and his wines. With every meal in the town I have loved these fruit-driven, easy drinking wines and hope that we soon start to see them appearing with greater frequency on the lists of wine merchants and restaurants in the UK. We also spent a day in Saumur and as well as enjoying one of the best meals of the trip at Bistro de la Place in the Place St-Pierre, we visited the Loire outpost of Champagne Bollinger at Langlois-Chateau (the Chateau being the maiden name of one of the founders). This sparkling wine house was founded in 1912 and bought by Bolly in 1973. Today the estate produces sparkling and still wines and is a great introduction to the ones of the region (they also own property in Muscadet and Sancerre to give you a real flavour of the Loire from West to East). The visit includes an introduction to winemaking, a tour of the vat room and a visit to their 4km of chalk cellars beneath the primes. This is topped off with a tasting of ten wines… And all of this for €5… Which is refunded if you make a purchase! Below are my notes from the tasting – these wines may not set your world alight but they will provide plenty of joy… Especially at these prices (all prices per bottle direct from the estate). I would just encourage you to search out the red, white, rose and sparkling (Cremant de Loire) wines of Chinon and Saumur – I promise you will not be disappointed and you’ll be back for more pretty swiftly. Posted on August 7, 2013, in General, Tasting post, Travel. Bookmark the permalink. 4 Comments. Yum, Chenin Blanc! I’m not a Cabernet Franc kinda girl though. Great tasting notes. Thanks Jo – the Chenins from “red” appellations are excellent – the Cab Francs are certainly worth a look too!